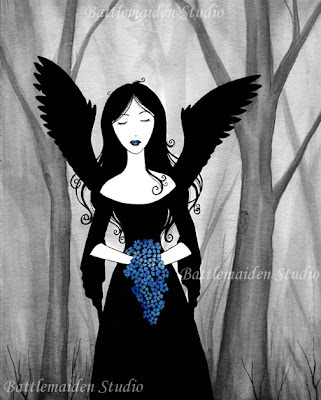 Battlemaiden Studio: Thy Raven Wings - New Painting! This painting is available through my Etsy shop as an 8x10 print. The original is also available unframed for $300 OBO. It's inkwash and watercolor on watercolor paper. (The original measures 9x12). Love the new painting, LOVE your work!